E.T. phone home! Remember that time when you were coming home with pizza and you discovered an alien in your shed? Nope, me neither! But that’s what happened to ten year old Elliott, in this heartwarming film. Elliott brings the alien into his home, later introducing him to his brother Michael and sister Gertie who all swear to keep it a secret. With the help of Gertie (and Sesame Street) E.T. learns to speak and they all work together to try and help E.T. 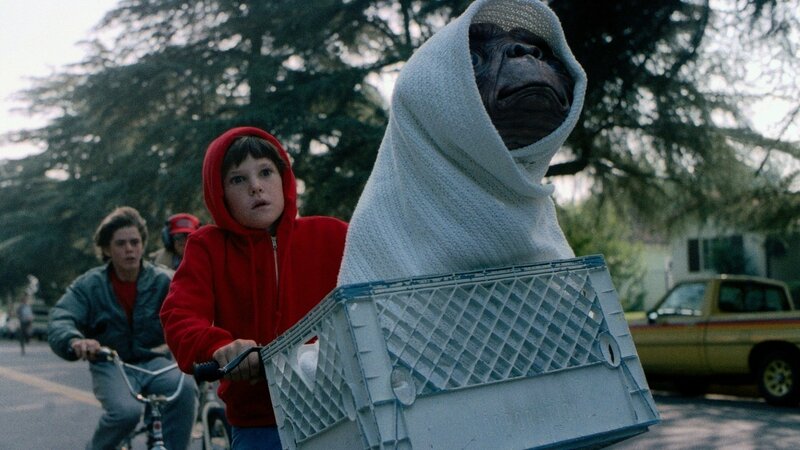 get back home, whilst Elliott and E.T. form an unbreakable bond and psychic connection. With Government agents swooping in on the house as Elliott and E.T. find themselves in dire straits, it’s a race against time to try and get E.T. home. If you didn’t cry during this film at least once, then you have no soul! If there’s something strange, in your neighbourhood… WHO YA GONNA CALL!? 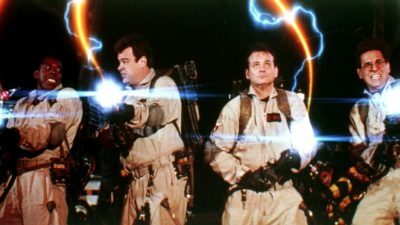 After losing their jobs at Columbia University, parapsychologists Peter Venkman, Raymond Stantz and Egon Spengler set up paranormal investigation and elimination service Ghostbusters in a disused fire station. Using an array of high tech equipment they capture their first ghost (Slimer) in a hotel, having caused a vast amount of collateral damage in the process. As New York City begins to become overrun with all things supernatural fourth Ghostbuster Winston Zeddemore is brought in. Dana Barrett calls for their help after demigod Zuul takes over her fridge, her apartment and later takes possession of Dana herself. The building turns out to be a gateway to summon god of destruction Gozer and to bring about the end of the world. Can the Ghostbusters save the day and defeat a giant marshmallow man!? Given a sequel was later released, I’m sure you can do the maths on that one! Remember: DON’T CROSS THE STREAMS! How far are you willing to go Michael? 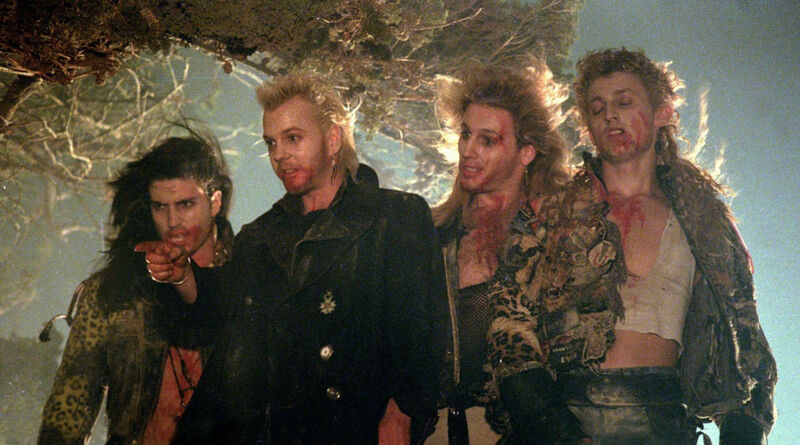 A classic cult film with stars a-plenty including: Kiefer Sutherland, Jason Patric, Alex Winter and the two Coreys (Corey Feldman and the late Corey Haim). Following their parents’ divorce, brothers Michael and Sam find themselves moving to Santa Carla, California, with their mother to live with their grandfather. Santa Clara happens to be the murder capital of the world, which later unfolds to be down to the gang of vampires led by David. Michael takes a liking to David’s girlfriend Star and is led back to the gang’s lair where he unknowingly drinks David’s blood, leading to the beginnings of his transition into a vampire himself. Sam is onto Michael, and seeks the help of the Frog brothers to hunt and kill the head vampire so they can save Michael from his fate. With all the usual vampire hunter tricks of the trade: garlic, holy water, wooden stakes; it’s an intensely fast-paced bloody fight to the death, enough to get your own blood pumping!